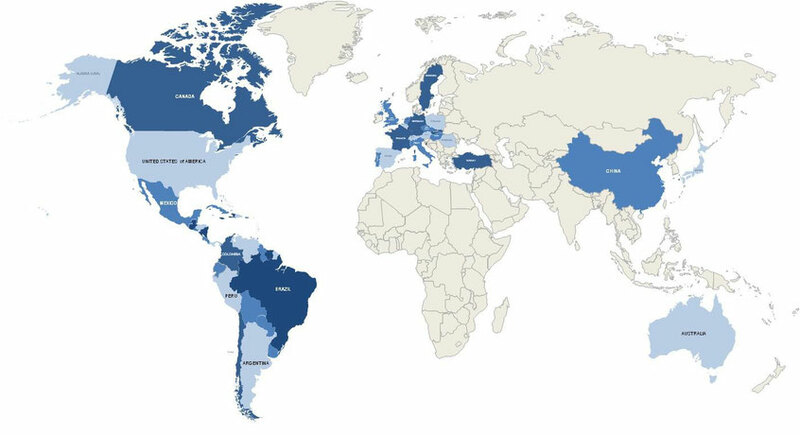 As the map above illustrates, SMARInsights has experience conducting research in many international markets. We work with a number of panel vendors around the world to assure the optimal survey solution for each given situation. Survey panel usage is driven by the representation in each market. Because panels, mobile, and tagging capabilities are in a constant state of flux, we regularly evaluate each vendor's offerings as research programs are being instituted. Where possible, we work with clients' global representatives in various countries to make use of their familiarity with the local market as well as with the client goals. We take great care to design and translate surveys in a way that accounts for country- and region-specific nuances and produces representative responses.